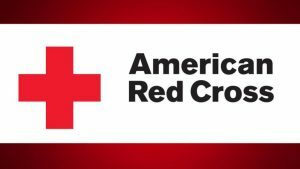 The American Red Cross blood donations have fallen short of expectations over the past roughly two months, and that’s resulted in about 61,000 fewer blood donations than are needed, and that is causing a significant draw down of the blood supplies. The Supreme Vampire is asking ALL Cooties to consider making a Blood donation to The American Red Cross as soon as you can. The Cooties have always been a dedicated Veteran service organization. The 2016/2017 year has been an amazing year for Blood Donations from The Cooties. The Supreme Vampire would like to thank those responsible for making this such a great year. I would now like to ask ALL Cooties to step up and consider making a blood donation. Even if you have never donated before, this is the time to do it. There are recent changes in Donation requirement, so please click the picture below to see if you might qualify. Copyright © 2019 All rights reserved. MOC /Supreme Vampire Website by: "Free Vet Websites"